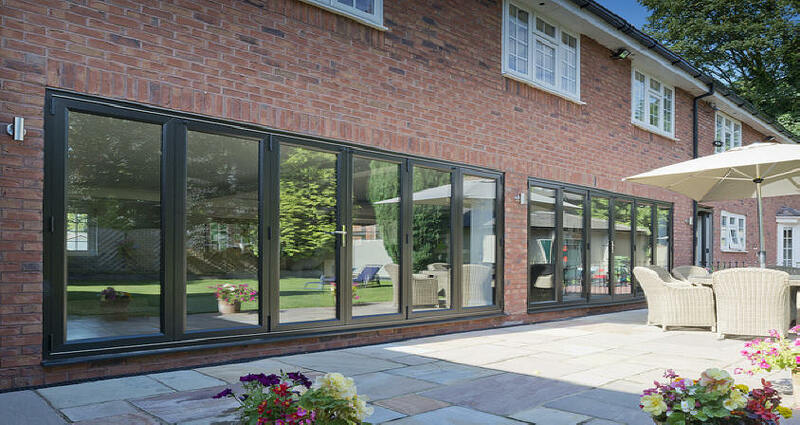 As a popular alternative to more traditional PVC French doors and PVC sliding doors, Bi-fold doors can create an open plan feel for any type of building. The multi-facet panes of the Rehau Bi-fold door fold back to allow a wide opening offering unrestricted access and bringing the outside into the inside. These elegant, concertina doors ad a real "wow" factor to any home or commercial premises, seamlessly connecting outdoor and indoor spaces. Once folded back, they create a large opening additionally a low threshold can now be fitted for easy access. Particularly suited for new build projects, these designer folding doors are becoming increasingly popular as property developers seek to differentiate their homes.